Forbes Asia recognizes the changes these female executives have made in the retail business realm. Two of the most powerful retail heads in the Philippines joined the prestigious Power Businesswomen list 2016 of Forbes Asia, recognizing the remarkable changes these female executives have made in the retail business realm. The fifth annual list had 27 newcomers, including Robinson Retail Holdings Inc. (RRHI) president and COO Robina Gokongwei-Pe. The 54-year-old executive runs the second largest multi-format retailer in the country, with more than 1,300 outlets as of 2014, spanning supermarkets, department stores, convenience stores, drugstores, and home improvement stores. The eldest child of tycoon John Gokongwei Jr., Gokongwei-Pe leads Robinsons’ 8,500 employees with an annual sales of $1.72 billion (P86 billion), and deservingly so. The executive had to work her way up to the helm, as she started as a management trainee, then worked as cashier, store manager, buyer, and merchandising head until she became the company’s president in 2013. Since then, the company has reached greater heights, notably when it raised $621 million (P31.05 billion) when it listed in 2013, one of the biggest initial public offerings that year in the country. RRHI has also since expanded to beauty products when it acquired Beauty Skinnovations Retail, Inc. in 2014. 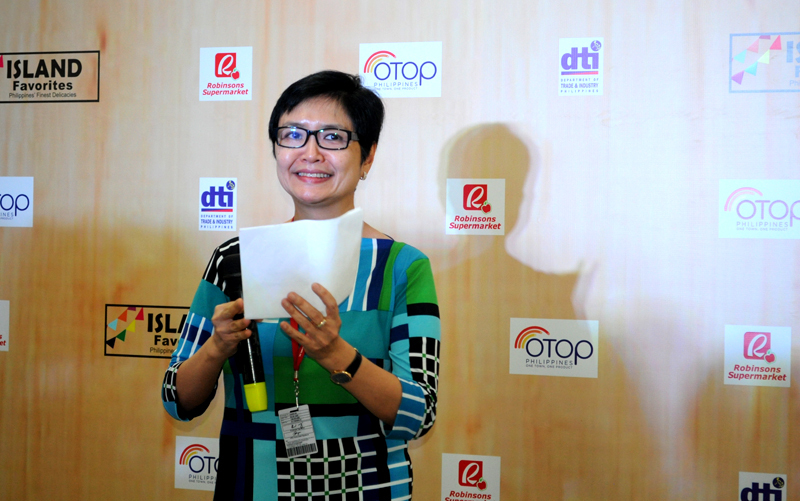 Landing on the list for the fifth time since its inception in 2012 is Teresita Coson-Sy, BDO chairperson and SM Investments Corporation vice chairperson. The 65-year-old bank head continues to cement BDO’s place as the biggest bank in the country, with the acquisitions of Generali Pilipinas Holdings and Generali Pilipinas Life Assurance. As of January 2015, BDO has more than 900 branches nationwide, with one branch in Hong Kong. The eldest child of the country’s richest man, Henry Sy, their family conglomerate SM Investments enjoyed a 13% net profit increase in 2015, totaling to $533.8 million (P26.69 billion). SM Prime currently has 51 malls nationwide, including the third largest mall in the country, SM Seaside Cebu, which opened in December 2015. 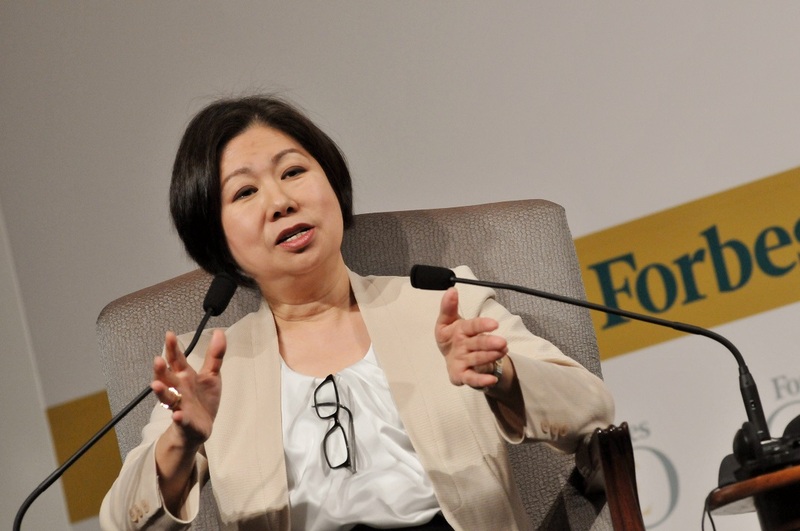 Forbes Asia’s Power Businesswomen 2016 list is still largely populated by Chinese female executives, with a quarter of the new candidates involved in technology. But it is Nita Ambani, wife to India's richest man, Mukesh Ambani, who lead this year's list. Coined by the publication as the "First Lady of Indian Business," Nita heads the marketing and branding strategy of Reliance Jio Infocomm, a 4G phone service, her husband's new venture under the conglomerate Reliance Industries. She is followed by State Bank of India's Chairman and Managing Director Arundhati Bhattacharya and Vietnam's biggest jeweller Cao Thi Ngoc Dung. Trail blazing in their respective industries are Somruedee Chaimongkol of Thailand's Banpu, one of the few female energy company heads in Southeast Asia and Sabrina Sih Ming Chao of the Hong Kong Shipowners Association, the first woman in its 59-year history to serve as its chairman. Completing the list are Solina Chau Hoi Shuen of Hongkong’s Horizon Ventures; Eva Yi-Hwa Chen of Trend Micro; Sonia Cheng of Hong Kong’s Rosewood Hotel Group; Chew Gek Khim of Singapore’s Straits Trading and Yuwadee Chirathivat of Thailand’s Central Department Store Group. However, even with these remarakble strides, Forbes noted gender inequality in the business world remains a problem. According to the Grant Thornton International Business Report released in March, a third of businesses around the world have no women in senior management roles. But the Philippines has one of the highest number of female executives in Asia, with 40% of senior jobs belonging to women, with Japan having the lowest at 7%.